Nowadays notebook is trending towards slimmer version with more and more ultra-thin version being released such as the Apple’s famous MacBook Air. In order to keep up to pace, HP (Hewlett Packard) has recently announced two new ultra-thin models with the intention to keep the whole machine lighter and less bulky while still maintaining a relatively large display screen with diagonal size of 13.3-inch for users with great visual and mobility experience. Named as ProBook 5310m, it is claimed to be the world’s thinnest full performance notebook in current market. With the thickness measurement of merely 0.93-inch, it is slightly thinner than Apple’s Macbook Air measured at 0.94-inch. Apparently, HP is striving hard to shrink its form factor to achieve such thickness and weighted at only 3.8-pound, it offers business executive or professional an ultra light but yet powerful mobile computing solution while on the move. 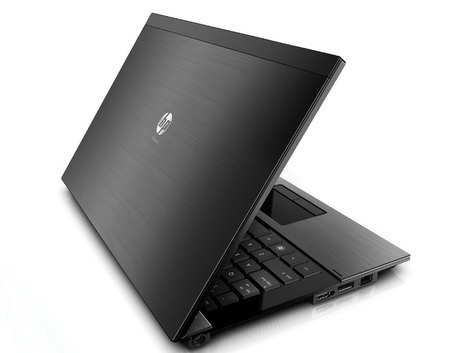 Besides, there are two versions available with drop-in replaceable SKUs (Stock Keeping Units) and users can choose either a full speed 2.26GHz Core 2 Duo for high performance or opt for a CULV based 1.2GHz Celeron duo-core version that can handle normal office processing with prolong battery life. Surprisingly, the latter version is claimed to be able to supply continuous power current up to 7 hours of battery life with only 4-cell battery pack. HP Probook is available now and at a retail price of $699 and $899 for Celeron duo-core and Core 2 Duo version respectively, they are quite affordable even for average users and will definitely help to boost HP’s market share in this competitive segment.